Our WordPress Swimming Theme is the best solution to attract and impress the viewer from the very first seconds. 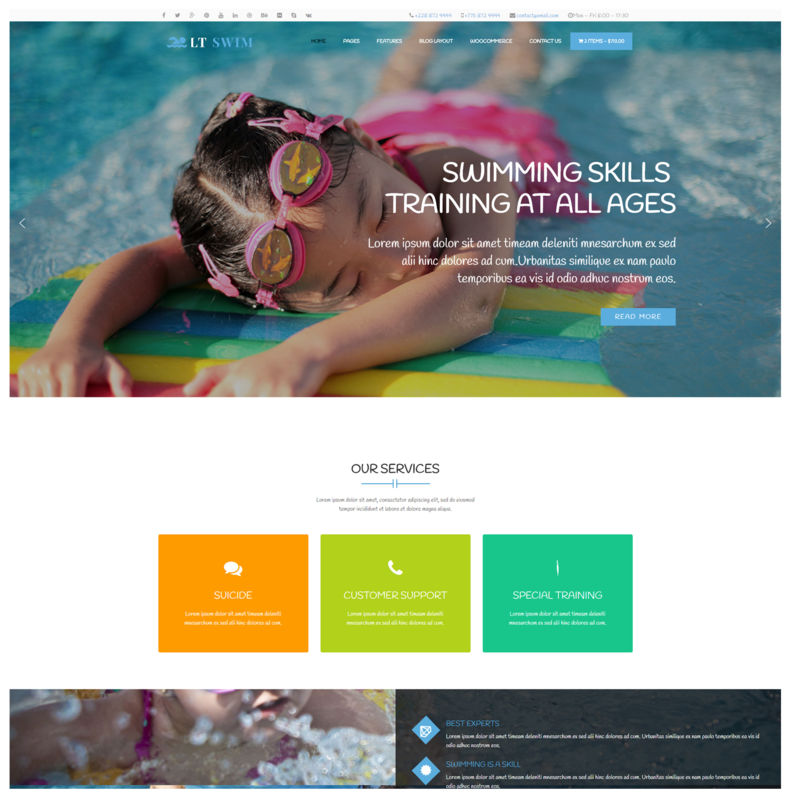 Browse through our Swimming WordPress Theme and show people your site is worth browsing. 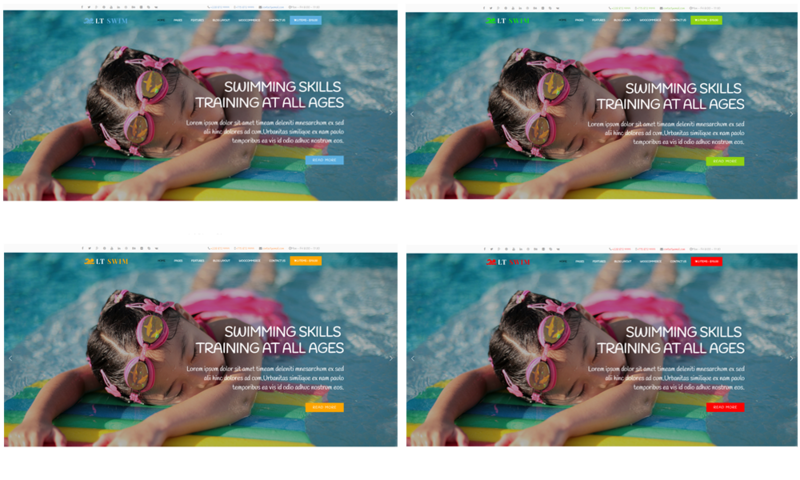 LT Swim is a responsive WordPress theme that is designed for swimming school websites. The theme developed on strong Genesis framework under 100% responsive layout (support for mobile devices). It is completely responsive helps with gathering as many viewers as possible. Furthermore, LT Swim comes with 4 color schemes which bring more choices to help you create excellent websites with various layouts. The color scheme of these themes offers contrasting and refreshing effects, making the viewer feel relaxed and happy while browsing your pages. The entire effect is completed by the fantastic images that depict people swimming and enjoying it. The back panel interface is highly intuitive allowing you to change the theme almost entirely. Our up-to-date styles are not just eye-catching, they’re easy to customize to your tastes thanks to colour options and integration with Google fonts. Whether you need a Google map on your about us page, or a contact form in your footer, you’ll find what you need on your dashboard panel. 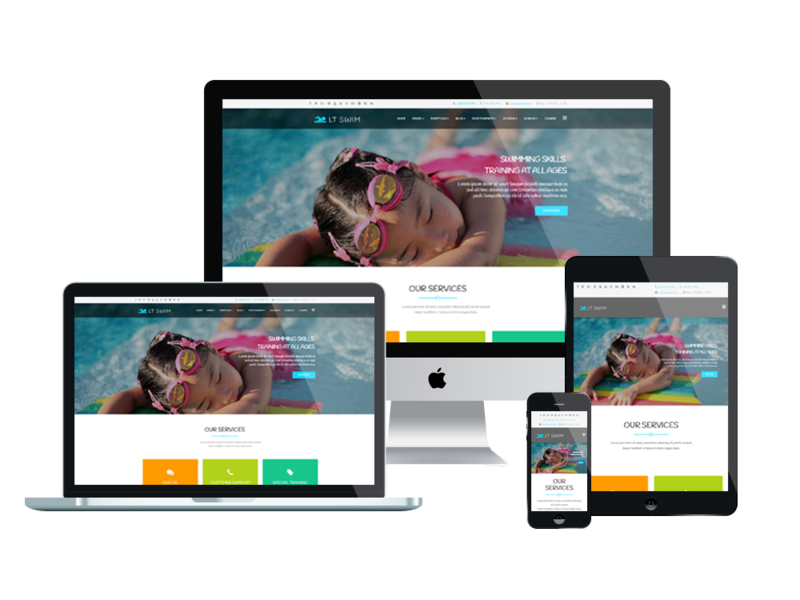 Start today: choose Swimming WordPress Theme and you’ll have a professional, impressive website in no time!